Princesses are very happy that the college is here and they decided to wear the best clothes for that. Help them choose their clothes. Cinderella's Wedding Day is approaching and she has to look her best ever! She must decide what her wedding dress will look like but there are just so many options! She is stuck between her love for the old timey dresses and her passion for modern, upscale fashion. 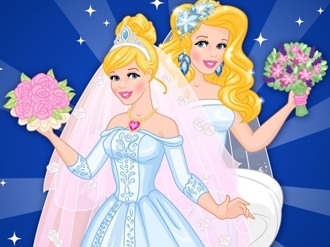 Play Now And Then: Cinderella Wedding Day and try on wedding dresses belonging to the two eras. Have fun with this game, experiment and let your imagination run free! 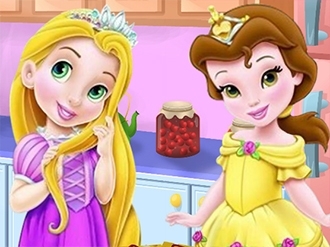 Go grocery shopping in this Rapunzel and Belle pizza cooking game as you will need some ingredients before making the most delicious pizza. Grab all the toppings you need and have some patience before taking it out of the oven. Hi beautiful girls! 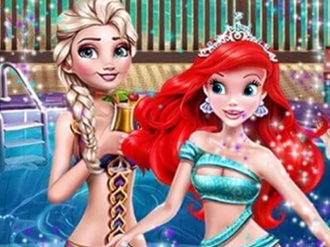 We have a new special game for you with Rapunzel. She is a beautiful girl but as any other girl, she has some beauty secrets to look always fabulous. Today our princess asks you to help her get prepared for a date. Rapunzel want to be the most beautiful girl for this date! First of all she wants to shave her legs and then apply a magic cream that will make her skin brightest. Finally you have to choose a wonderful dress for the date and make sure it suits her great. 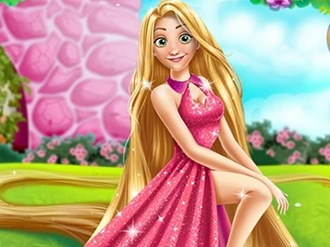 Have fun in this beautiful girl game with Rapunzel! Cinderella can't go anywhere unless she finds all the dirty clothes in the house and washes them all. Could you help her check every room and find all the clothes? Then we could help her wash the clothes, dry them up and then fold them. Then Cinderella could go to the prince's ball!